Thanksgiving is one of the best holidays of the year. A time to purposefully gather around the table. A day dedicated to the process of a meal. A moment to shut the world off (well besides football I guess), and remember to be thankful for what is right in front of us. That’s an amazing thing and something I don’t take lightly this time of year. If anything this year has taught me a lot about grace, gratitude, and the importance of investing in those you love. 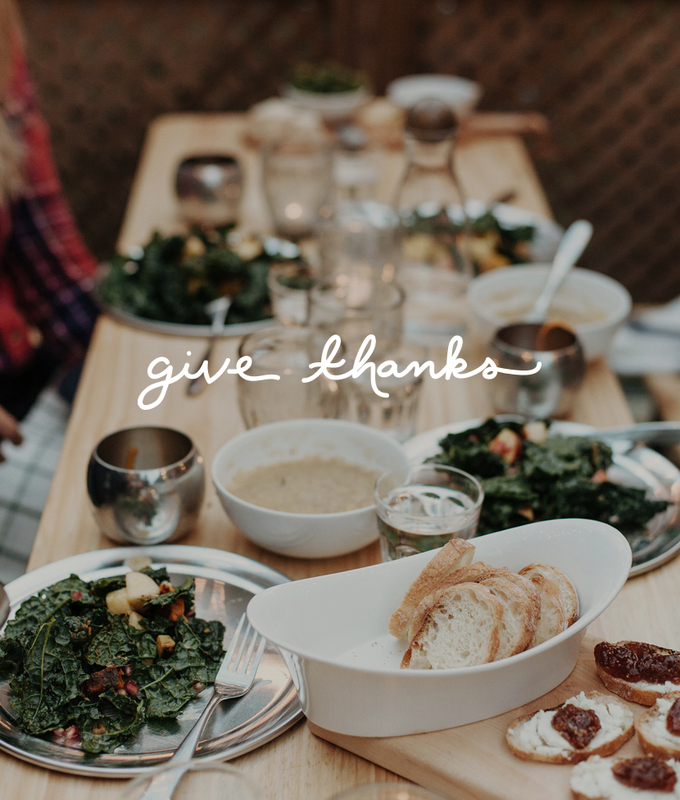 So, as I plan to gather around the table with my family and friends for Thanksgiving, I am feeling very thankful for what this year has taught me and for those I have grown close to. I feel thankful for all the simple things like, a warm bed, a home, the light that streams in in the morning, and the quiet of the evening before bed. More than anything though, I am most thankful for my family and friends. Those who know me the best and even know me better than myself. This year has shown me there is no real value that can be placed to a relationship that keeps you moving forward, learning to love deeper, being more honest with yourself, and asking you to be the greatest you can be while remaining grounded. That is what I am most thankful for this year. As you gather today, whether it be you and a friend or you and 40 people, take a moment to enjoy the moment you find yourself in. Set aside your phone and all that the world throws at you, and be present. Drink a great cocktail or two, indulge in great food while you laugh with new and old faces, and most importantly be grateful the moment. The world can wait, because the moments that will come from today have an opportunity to make us all a little bit better. Happy Thanksgiving. Cheers to the beginning of the holiday season. It’s going to be full of moments that are more important than gifts.